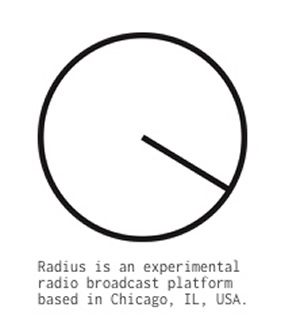 Radius is an experimental broadcast platform located in Chicago, IL, USA. Radius features a new project each month with statements by artists who use radio as a primary element in their work. Radius provides artists with live and experimental formats in radio programming. The goal is to support work that engages the tonal and public spaces of the electromagnetic spectrum.